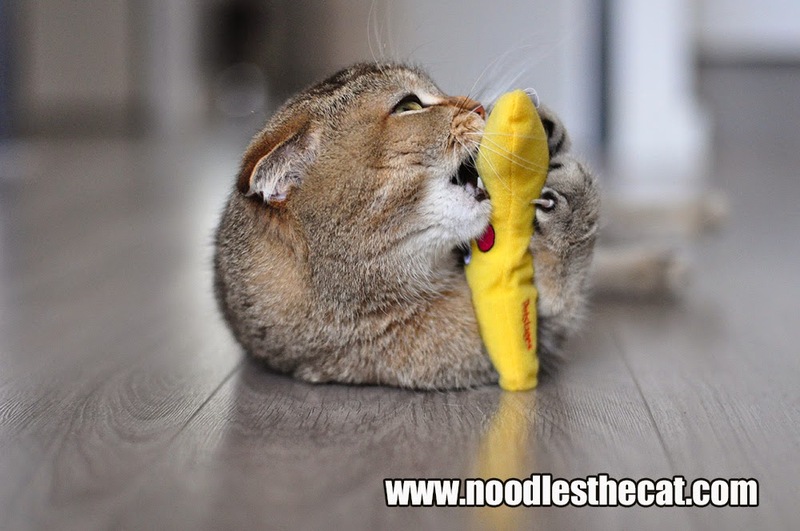 I IZ NOODLES THE CAT: The joy of a new toy! The joy of a new toy! What's this crazy yellow thing? Mrrp? Nip? Did somekitty say nip? (Three kitties jump through the teleporter and skid to a stop in front of Noodles and her Yellow Thing.) Where's the nip? We smell it but we can't see it!